February 27, 2017, 4:40 PM · In an effort to promote the coverage of live violin performance, Violinist.com each week presents links to reviews of notable concerts and recitals around the world. 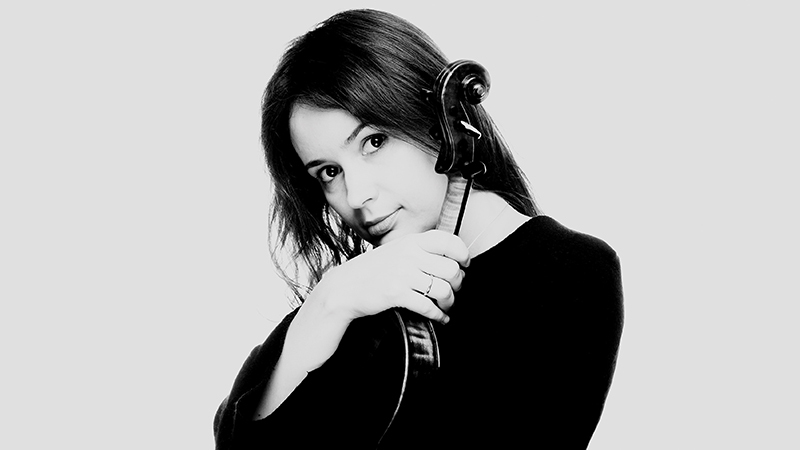 Patricia Kopatchinskaja performed the Berg with the London Philharmonic Orchestra. Financial Times: "She played with mesmerising freedom and lightness, like an earth spirit dancing barefoot across the stage. It was almost as if she had forgotten her surroundings completely in her bid to escape the terrestrial sphere." The Guardian: "Patricia Kopatchinskaja’s account was fragile, eloquent and never portentous. Her playing captured this heartbreaking music with just the right mixture of tenderness and transcendence." Patricia Kopatchinskaja. Photo by Marco Borggrave. Karen Gomyo performed Bartok’s Violin Concerto No. 2 with the Minnesota Orchestra. Minneapolis Star Tribune: "The playing had a lyrical intensity and an assurance that revealed the nobility and spaciousness of the score. One was left breathless after her daredevil account of the first-movement cadenza." St. Paul Pioneer Press: "Gomyo lent a Roma folk feel to its fluid lines, smoothly executing abrupt shifts from sorrow to panic. Her solos ran from ghostly to earthy, and Wolff brought the orchestra into ideal balance with her." Vilde Frang performed the Britten with the Dallas Symphony Orchestra. Theater Jones: "Her technical mastery made short work of Britten’s notorious challenges with magnificent intonation and expressive phrasing. Her dynamic range went from very loud to almost inaudible and she adapted her memorable sound to each musical occasion." Dallas Morning News: "The Britten Violin Concerto, played with absolute authority and jaw-dropping finesse by the Norwegian violinist Vilde Frang." Anne Akiko Meyers performed Vivaldi's "Four Seasons" with the New West Symphony. Ventura County Star: "Akiko Meyers delivered a vivid Vivaldi interpretation with zest and technique to spare." Stephen Waarts performed the Tchaikovsky with the Auburn Symphony. SunBreak Online Magazine: "...it was played with passion, emotion, warmth, depth, maturity, and impeccable intonation and musicianship...by a 20-year-old violinist making his Northwest debut, Stephen Waarts from California." February 28, 2017 at 06:10 PM · My daughter and I heard Vilde Frang Sunday afternoon. Her performance was breathtaking! The lady next to me was crying it was so good. We flew from DC just to hear Ms. Frang perform, as she has very few US stops on her itinerary this year. I hope she'll return to DC or NY soon. She's our favorite, and we've heard a LOT of violinists by attending concerts in DC at the Kennedy Center, Strathmore, etc! I would also like to commend concertmaster Alexander Kerr for his stunning solos. What a wonderful afternoon of music.